Capcom isn’t a stranger to porting games that released on old platforms to current platforms. In fact this generation, they have basically brought almost every important game from the PS3 and 360 era to PC and current consoles. They also do some great retro collections but nothing comes close to the Street Fighter 30th Anniversary Collection that releases today on Nintendo Switch, PS4, Xbox One, and PC. In a lot of cases, I tend to skip most retro collections on home consoles but being able to take 12 Street Fighter games on the go with the Nintendo Switch release is very appealing. While the collection is mostly the same when it comes to content, there are some advantages and disadvantages to each release. While Capcom has done ports of Street Fighter games all over the place, they’ve never managed to cram so many into a single release with a slew of extras ever. 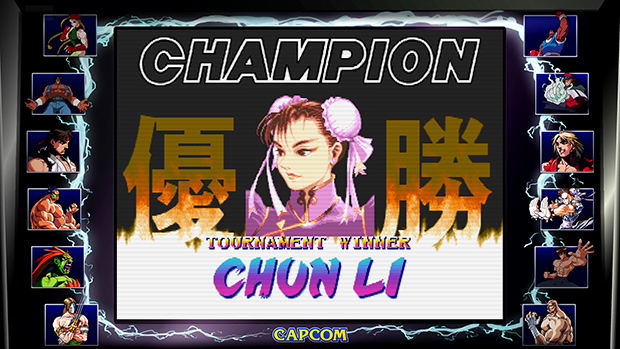 The Street Fighter 30th Anniversary Collection includes 12 games with perfect arcade gameplay. Four of these support full training modes and have online multiplayer. In addition to the 12 games, the extras are fantastic and add a lot of value to the package overall. Retro collections live and die based on the emulation for the games and the options available. With the games here, you have options for scanlines, borders, stretched display, original aspect ratio, and a full screen but not stretched option. All of these options look great on the Switch handheld screen. The emulation of the games is great and the only real flaw lies in the Nintendo Switch hardware. While platformers are quite difficult on the Joy-Con d-pad or lack thereof, fighters are on a whole other level. Playing with a Pro Controller is great but this is something to keep in mind. The Museum is split up into four areas. The History section is basically an interactive timeline from 1987 from the arcades until 2018 when the 30th Anniversary Collection launches. This covers a lot of details and has some nice images to go along with the text. The Characters section is pretty damn amazing because you can view variants of many characters across the different games and a detailed bio. The highlight of this section is being able to playthrough special move animations frame by frame. If you’ve never seen animation for fighters, you get to see how much effort goes into this kind of stuff. The Music section has the full soundtracks for each of the games included in this collection with a basic player. 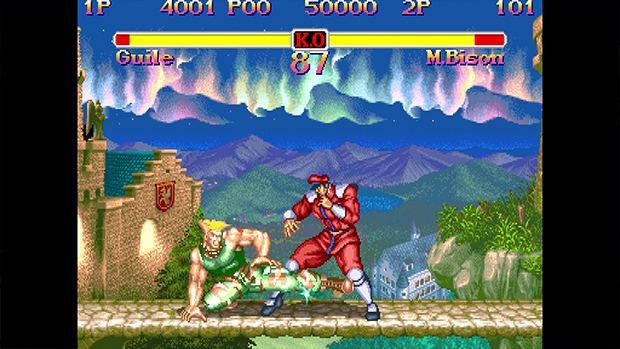 The final aspect of the Museum is the Making of Street Fighter. 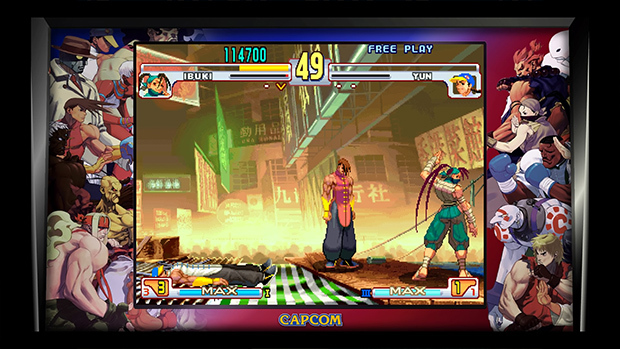 This includes the original pitch for the first release of the game ever in addition to a detailed look at Street Fighter II’s making and the development of Street Fighter Alpha (and Alpha 2) and Street Fighter III. 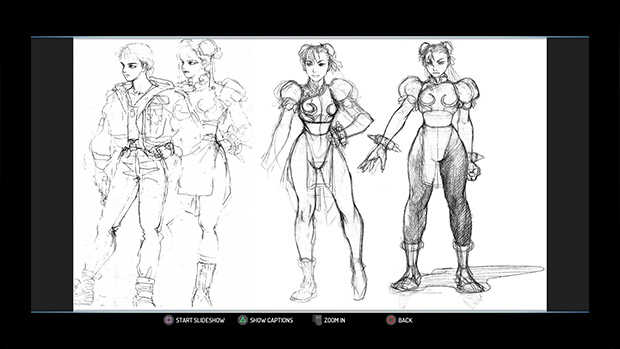 The only downside to the making of section is the lack of notes or comments for the Street Fighter Alpha and III portions. Overall, the Museum while not an actual core gameplay portion of the collection is a fantastic addition. 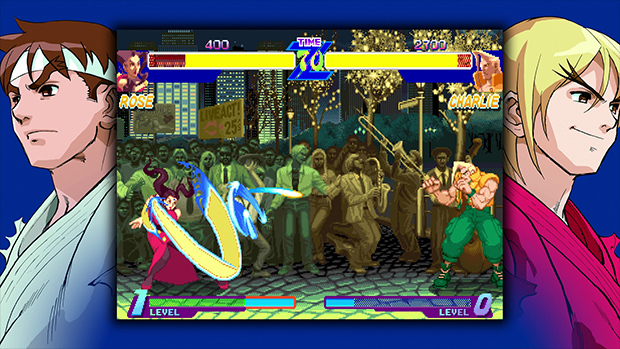 While all versions have online support for Street Fighter II’: Hyper Fighting, Street Fighter II Turbo, Street Fighter Alpha 3, and Street Fighter III: 3rd Strike – Fight for the Future, the Nintendo Switch version also supports local wireless for the same games. The Netcode held up well in my testing and I managed playing over the last week both online and offline through local wireless. It even worked well on a Nintendo Switch tethered to a phone hotspot for online while outside the house. When it comes to platform differences, the PS4, PC, and Xbox One versions include a copy of Ultra Street Fighter IV as a pre-order bonus. For the Xbox One, it is the Xbox 360 version via Backward Compatibility while both other platforms get the native ports that exist. 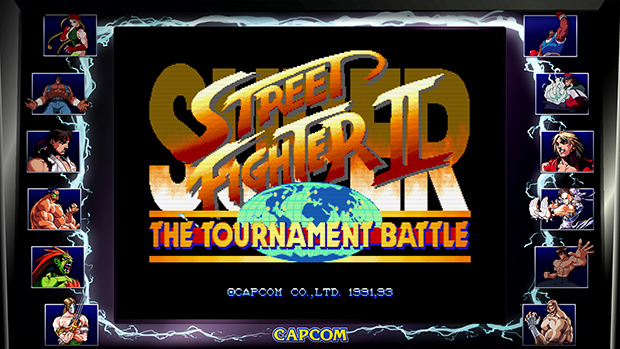 The Nintendo Switch version on the other hand has an exclusive tournament mode for offline wireless play in Super Street Fighter II that supports multiple consoles together connected locally. It lacks any version of Street Fighter IV though. Overall, this is easily one of the better retro collections to release in recent times. It is chock full of great games for fighting game fans and great content for fans of the franchise. It would have been nice to have a training mode for every game and not just the online enabled ones. If you’ve wanted to know why people enjoy this franchise so much, this is a great history lesson.